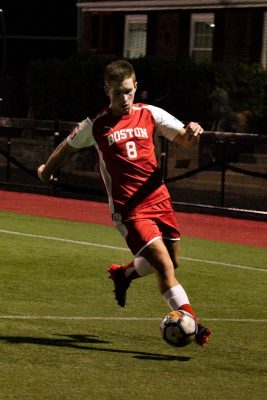 A week removed from the second 0-2 loss at home, Boston University men’s soccer will take on University of Massachusetts Amherst in an attempt to earn its first win and home point Friday night. The Terriers (0-2-1) have yet to put up a goal at home, but did manage to take home a point after playing to a 3-3 draw at Boston College two Mondays ago. Meanwhile, the Minutemen (2-1-1) have already strung together their first two wins after taking down St. Peter’s University and Bryant University both at home within the last week. For BU head coach Neil Roberts, shutting down opponents’ scoring opportunities is key. Both of UMass’ victories came from late pushes in the second half. Senior forward DeAndrae Brown leads the way offensively for the Minutemen with six points, who is joining UMass for the first year after three seasons with the University of Connecticut. In goal, redshirt freshman Trey Miller has held down both of the Minutemen’s wins and the tie, making seven saves and allowing two goals. 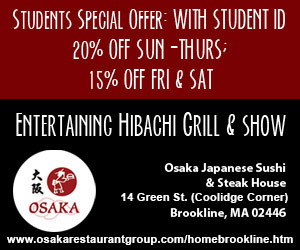 One commonality between the two teams is that they both share a loss to a common opponent: UMass Lowell. Both losses (0-2 for BU, 0-1 for Amherst) catapulted Lowell into the No. 22 spot of the United Soccer Coaches top 25 list this week. This will be the second time BU has hosted an Atlantic-10 team this season after dropping the home opener to Rhode Island two weeks ago, 0-2. Roberts stated these games served to help solidify the team’s processes. “Obviously you want to win every game, but you want to have a system that you think will be successful in the league,” Roberts said. The Terriers will only have the match against the Minutemen and then three others against Ivy-League opponents before Sept. 22, their first Patriot-League match against American University. Sophomore goalkeeper William Bonnelyche from Stockholm, Sweden has seemingly taken over the starting goalkeeping position from senior goalkeeper Mike Bernardi since BU’s opening defeat. Bonnelyche has put up a save percentage of 0.615 in the last two games, while Bernardi, who was named to the Patriot League All-Conference Second Team last season, has a career save percentage of 0.694. So far, only junior forward Matt McDonnell has been able to score for the Terriers after he completed a hat trick in the tying effort against BC, the first hat trick for the team in 10 years. However, Roberts stated he believes the team has greater scoring potential. All five of the top scorers from the 2017 season have returned this season.